In comparison to the online dating landscape in Germany, online dating in the Netherlands is dominated by only two market players (I’ll go into detail on these particular websites below). There are a lot of websites out there that claim to specialize in Netherlands online dating, but there are really only a couple which will be worth your time. If you can, try to stay in one of the four most populous Dutch cities: Amsterdam, Rotterdam, The Hague and Utrecht. 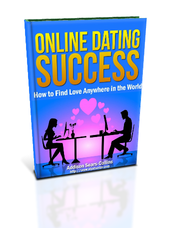 These cities are where the singles tend to congregate and will give you the highest chance for dating success. Should you decide to sign up for the online dating sites I recommend below, be sure to read member profiles carefully as you might come across a lot of fake profiles and women looking for “clients.” Usually, I can spot these profiles pretty easily. A woman who has only one picture posted, is wearing a form-fitting outfit and making an overly suggestive pose are usually clear signals to steer clear. Another clue of a pretender is a woman who has a poorly written profile. As a general rule of thumb, the more boring the profile, the more boring the person. Without further ado, here is the quick list of the top two dating sites in the Netherlands. I’ll go into more detail in my reviews below. Lexa.nl is the best online dating site in the Netherlands.The site is a member of the international Meetic network and is the largest, most popular Dutch dating website. Lexa was started in 2002 and currently has over 1.6 million members. As a Meetic network member, Lexa has the same polished website and solid features as Match.com, DatingDirect, and other Meetic sites. A premium membership is needed to do anything on the site beyond browsing/searching members. This membership is automatically renewed (with no reminder emails), and you’ll need to actually be in the Netherlands to sign up. To create a profile, enter your gender, match gender, birthday, username, password, and email address. You are now free to use the rest of the site. Completing your profile consists of 9 pages of questions about your personality, lifestyle, appearance and interests, and what your ideal partner looks and acts like. These questions took me about 20 minutes to complete. You can also add your favorite movies, songs and books to your profile by searching in the Screenrush, Last.fm and WorldCat directories. Search includes basic and advanced. Advanced is your typical search feature, giving you different options for filtering out profiles you aren’t interested in. Basic includes a 5 quick searches for you to choose from: Born on the same day as me, it’s their birthday, Perfect matches, Reverse matches and Mutual matches. Free members are limited to the ubiquitous “flirt”. Flirts are pretty self-explanatory, just a basic “wink”-like feature that lets someone know you exist and are interested in them. To send a message, truly contact another member, you’ll have to first upgrade to a paid, premium membership. Once you’ve done so, you can also start a live chat or add them to your favorites. Both messages and the chat feature are text only, with no audio or video options available. When creating your profile on Lexa you have the unique option of creating a quiz for profile visitors to take. This is a fun and effective way to test your compatibility with other users. You can choose up to 20 questions, out of a list of 100 or so, or create your own. Parship.nl is the Dutch version of the popular dating website of Parship and is the second best dating site in the Netherlands. It was launched in 2001 in Germany, but went on to become an international site in 2002. The site has grown over the years and is now used in many European countries including England, France, Italy, and more. Parship is for people who are looking for serious relationships, and it has a great matching system for its users. The sign-up process is long and includes a personality test that is used to create compatible matches. While some don’t like the time consuming process, I enjoyed the test, and this one really nails it. The process starts by gathering basic information like your gender, what gender you are searching for, your email, and a password. Next comes the Parship Principal, a questionnaire that takes up to one hour to complete. The test is mostly comprised of multiple choice questions but does have some interesting sections that have you choose your preference between two images, and other unusual questions. The test is a great way to weed out those who aren’t seriously looking for a relationship. Surprisingly, after completing the test, you will find you are only about a third of the way to completing your profile. What makes Parship different from its competitors is its lack of a search feature. You can see who is online, who logged in last, you can even filter your matches using some basic information, but the site gives you matches instead of allowing you to search for them. This is where the lengthy personality test you took is used. Your results are compared to other users, and you receive a compatibility score for each of these matches. When you start looking at the matches Parship sends you, most of them will include blurry pictures. Users must give specific consent for others to access their photos, or you must upgrade to the premium membership to see photos that have been made public. You are also not given names with the profile. The site just gives you their occupation. You’ll need to take notes or even establish nicknames so you can tell them apart. You won’t be allowed to contact other members on Parship until you have completed at least half of your profile. Once that is done, you are allowed to add other members to your favorites list, share your pictures, send them a compliment by clicking the thumbs up button, a smiley face, an “icebreaker” (this is actually just a short multiple choice questionnaire) or a short text message. If you upgrade to the premium membership, you are allowed full access to your test results which includes a long psychological evaluation. Even as a free member, there was a lot of information given to me. I was able to read through my test results and learned what kind of partner I should be looking for and what I am like in a relationship.